1 shopkins pinata, with 12 pull strings. Treat little guests to a classic party activity with this fun Shopkins Pull String Pinata. 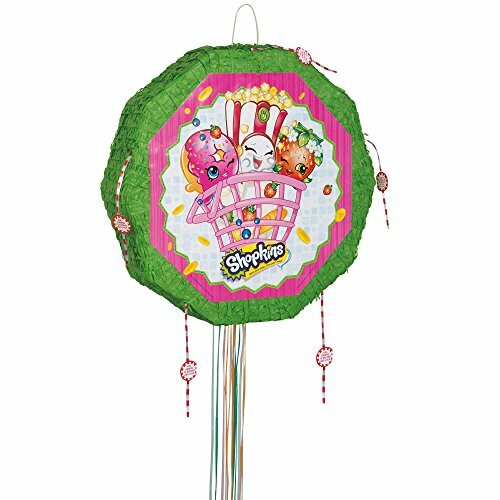 Featuring a different basket of adorable Shopkins printed on each side, this vibrant pinata doubles as a charming party decoration for a Shopkins birthday party or Shopkins swap party. In a fun, safe, and easy-to-play twist on the traditional pinata game, kids take turns tugging each of the 12 pull-strings until one releases the goodies inside (sold separately).